We will be entering 2009 in a few hours, and I would like to take a moment to wish everyone a very happy new year. I hope this will be a wonderful year for everyone, full of joy, success and prosperity. I’d like to take a moment to remember all those who have lost their lives in the past year while fighting for freedom in Iran, in particular a brave journalist Mr. Yaghoub Mehrnahad (long live his memory). I’d like to take a moment to remember all political prisoners who are spending the New Year in Evin, Gohardasht, Sanandaj, Mahabad, Esfehan and many other prisons, because of their religious beliefs, ethnic identities or political beliefs. I hope this will be a great year for Iran, the year where we will see the freedom of all political prisoners, end to all human rights violations, and most important of all the year we will see REGIME CHANGE in Iran. The Islamic Regime has been systematically discriminating against the Baha’i Community in Iran for the past 29 years. This discrimination has taken many forms including arrests, questioning by authorities and imprisonment of Bahai’s, searches of their homes and businesses, confiscation of personal belongings, school expulsions, and denial of higher education. This resolution took particular notice of the attack on Baha’is noting “necessary evidence of efforts by the State to identify and monitor Baha’is, preventing members of the Baha’i faith from attending university, from sustaining themselves economically, and the arrest and detention of seven Baha’i leaders without charge or access to legal representation. According to the “Canadian Baha’i National Centre” there are currently 26 Baha’is in prison, although the number may be higher, because some individuals are arrested secretly, others are arrested and released after a few days. Of the 26 people in prison seven (7) of them are Baha’i leaders who saw to the needs of the Baha’i Community in Iran. These individuals are Mrs. Fariba Kamalabadi, Mr. Jamaloddin Khanjani, Mr. Afif Naeimi, Mr. Saeid Rezaie, Mr. Behrouz Tavakkoli, Mr Vahid Tizfahms and Mrs. Mahvash Sabet. These individuals were arrested in March and are currently in the Evin Prison. Another very significant form of discrimination against Baha’is is systematic denial of higher education. There have been instances of students being expelled from educational institutions, with authorities openly stating that the reason is the fact that they are Baha’is. Further during the application and enrolment process for the current academic year, it became apparent that most Baha’i students had been identified by the authorities. When the students attempted to go online to get test scores and fill in application forms, they were met with an error page stating that their file was incomplete. Without complete files, enrolment in all public and most private universities in Iran is not possible. Other forms of discrimination and harassment have included destruction of Baha’i cemeteries and circulation of anti-Baha’i petitions by Regime Agents. Although the Baha’i Community has been facing systematic discrimination and harassment, they have been active in trying to overcome these obstacles. For example the Baha’i Community has been very active in developing “underground” universities in order to pursue higher education. Aside from the Baha’i Community’s own activities, there are also things we can do as individuals, bloggers and human rights activists, to help their situation. In order to provide some suggestions I have contacted the Canadian Baha’i National Centre and they have been kind enough to offer to help me in this regard. Please stay tuned for my next article which will focus on what can be done to fight against discrimination and harassment of the Baha’i Community in Iran. Islamic Regime security forces in the province of Busher have attacked Mr. Ismail Jafaris' residence and too him to an unknown location. Mr. Jafari is a brave journalist in Bousher who reports on the problems which the people in Busher face because of the Islamic Regime who has invaded Iran. Because of the publications of photos of a protest by workers of "Daryayiye Sadra" Company he was arrested and sentenced to five (5) months of imprisonment. Although he had just received his jail sentence and was in the process of appealing it, unfortunately he was attacked by security forces and taken to an unknown location. The efforts of his family to find out information about his whereabouts have been unsuccessful so far. The Marzeporgohar Party announces that it holds the Islamic Regime strictly responsible for the health and well being of Mr. Jafari. The Marzeporgohar is extremely concerned about the health and well being of Mr. Jafari and urges all human rights and political organization to take immediate action to help free Mr. Jafari. 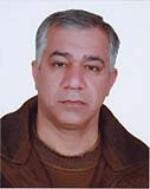 Student Council of Defense of Human Rights in Kurdistan: After 36 days of imprisonment the Kurdish journalist Mr. Bahman Tutunchi was transferred to the Central prison in the City of Sanandaj on December 24th 2008. Mr. Tutunchi was arrested on November 18th 2008 by the Regime Agents after his home was searched. In a conversation with members of his family, they stated their grave concern over the health and well being of Mr. Tutunchi. Mr. Tutunchi was convicted of working with a very active political organization in Kurdistan. Mr. Tutunchi is an independent journalist and also was an executive board member of a weekly journal called “Kereftu”. Due to extreme pressure from the Ministry of Intelligence he was forced to resign from that position last year. Student Council of Defense of Human Rights in Kurdistan: Ronak Safazadeh was arrested on October 9th 2007 and although a year has past since her arrest she still remains in pre-trial custody. In an interview with the Student Council of Defence of Human Rights in Kurdistan Dr. Mohammad Sahrif, Ms. Safazadeh’s lawyer stated that although the defence is ready to proceed, the judge has confirmed Ms. Safazadeh’s pre-trial detention on eight (8) different occasions. On March 13th 2008 a court hearing was scheduled in Branch 1 of the Revolutionary Courts and a written and an oral defence was submitted to the court, however no decision has been rendered by the courts. Mr. Sharif has further stated that he is extremely concerned about the fact that The Court has refused to render a decision to this date. It must be mentioned that in regards to his other client Ms. Hanna Abdi both a judgment at a lower court and at the court of appeal has been rendered but not in Ms. Safazadehs’ case. Mr. Sharif is extremely concerned about Ms. Safazadehs’ case especially due to the serious charges she is facing (fighting against god). Student Council of Defense of Human Rights in Kurdistan: Two more prisoners in Ardebil Prison have been transferred to solitary confinement and are awaiting execution. Mass executions in Iran still continue. According to news received from the Ardebil Prison on Friday December 26th 2008 Mr. Aziz Khosro Zadgan and Mr. Hushang Behrouz who have been imprisoned for the past year have been transferred to the solitary ward of the prison and are awaiting execution. There is no information about what these individuals have been charged with or whether they have been convicted. Further last Wednesday December 24th 2008, eight (8) men were executed in Evin Prison. It has been estimated that about 310 people have been executed in the past year in Iran. Mr. Mohammad Sadiq Kaboudvand, the founder of the Kurdish Human Rights Organization, who was recently sentenced to 11 years of imprisonment, has written an open letter to Mr. Ban Ki-Moon the Secretary General of the United Nations, from Section 8 of the Evin Prison. In an open letter to Ban Ki-moon the Secretary General of the United Nations, Mr. Mohammad Sadiq Kaboudvand, a human rights activist and the founder of Kurdistan Human Rights Organization criticized the United Nations for its lack of attention to the plight of Kurdish Minorities in Iran. Mr. Kaboudvand is in the midst of serving an 11 year prison sentence in the Evin Prison. The presence of countries with terrible human rights records in the United Nations Commission for Human Rights and their prevention of any positive steps being taken by the Commission to improve and protect human rights globally and particularly in regards to the rights of Kurdish minorities in Iran have caused great concern for Kurdish activists. Recently the Third Committee of the United Nations General assembly issued a resolution condemning the gross violations of human rights in Iran and in particular the human rights violations faced by the Kurdish Community as well as other ethnic minorities in Iran. Are you aware of the fact that a part of the Iranian population consists of ethnic, religious and linguistic minorities? This fact has been denied by the Constitution of the Islamic Republic Regime. They have denied a portion of the Iranian population to keep, protect and nurture their ethnicity, culture and mother tongue. Although the Kurdish people compose the third largest ethnicity in Iran, their cultural, linguistic, social and political rights are continuously under attack. These people have been suffering for years from discrimination and oppression by the Islamic Regime. The Kurdish people have no social, political or linguistic rights. They have no representation in the national or even local governments in Iran. Kurdish political parties are not allowed to operate and even non-political organizations such as Kurdistan Human Rights Organization are under attack and not allowed to operate. Although the Kurdish people consist less than 15% of the Iran’s population, they also make up about half of the number of people executed and subjected to political persecution in the past 10 years. Currently about 50% of the political prisoners consists of Kurds, who have been branded as “security prisoners” or anti-revolutionary prisoners. Currently tens of these prisoners are on death row awaiting execution or serving very lengthy prison terms. The Kurdish people and Kurdish human rights activists expect human rights organizations as well as international organizations such as the United Nations to take the persecution of ethnic minorities in particular the Kurdish minority seriously and not to ignore such atrocities Our respectful request is for the United Nations to take steps to stop such human rights violations against the Kurdish people in Iran. 1. Increase in the number of executions, especially the execution of young offenders. 2. Physical and psychological torture in Ministry of Intelligence and police detention centres’. 3. “Legal torture” such as amputation of body parts, stoning, flogging and other physical punishment. 4. Legal inequality between men and women. 5. Lack of legal rights for political prisoners such as lack of access to courts and to a defence counsel. 6. Lack of social, political and human rights for religious minorities. 7. Lack of social, political and human rights for ethnic and linguistic minorities. 8. Lack of freedom for political and social activists and inability for the formation of active womens’ and students groups. 9. Lack of freedom of thought and speech, lack of freedom for the media. 10. Surveillance by the police and persecution of social and political activists. Human rights activists in Kurdistan and Iran respectfully request that the United Nations and the United Nations Human Rights Commission pay special attention to the human rights violations in Iran, with particular attention to the persecution of Kurdish minorities and to take steps to help stop these human rights violations and to help the cause of human rights and democracy in Iran. Teacher and trade union member Farzad Kamangar has endured beatings and threats recently. He could still be executed shortly even though his case is still under review. 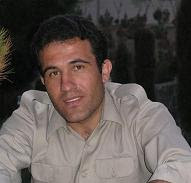 On 24 November, prison guards entered Farzad Kamangar’s cell in Section 209 of Tehran’s Evin prison. It is reported that the prison guards beat Farzad Kamangar, threatened him with execution, and took him out of the cell, along with some of his personal belongings. Later that day, another prisoner reported seeing him in the prison clinic, apparently unconscious. Farzad Kamangar is now believed to have been returned to his cell. In Iran, the removal of a detainee from their cell often signals that the person may be executed imminently. 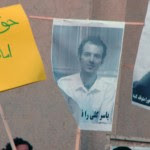 Amnesty International is therefore concerned that despite a review of his case being underway, Farzad Kamangar remains at risk of execution. 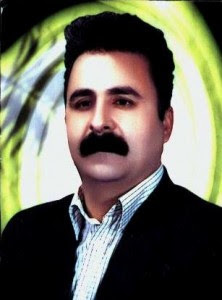 Farzad Kamangar was arrested by Ministry of Intelligence officials along with two other members of the Kurdish minority, Ali Heydariyan and Farhad Vakili, in Tehran around July 2006. The three men were sentenced to death on 25 February 2008 after being convicted of “moharebeh” (enmity towards God), a charge levelled against those accused of taking up arms against the state, in connection with their alleged membership of the armed group, the Kurdistan Workers Party (PKK). Ali Heydariyan and Farhad Vakili also received additional sentences of 10 years’ imprisonment for forging documents. Under Iranian law, they must serve their prison sentences before being executed. The death sentences of all three men were upheld by the Supreme Court. However, Farzad Kamangar's lawyer has submitted his case to a judicial review panel in an effort to have his death sentence overturned. Under Iranian law, death sentences cannot be carried out while under review. Prior to his trial, Farzad Kamangar was held incommunicado, tortured and otherwise ill-treated, including by being beaten, flogged, and electrocuted. He is now said to suffer from spasms in his arms and legs. He was tried in unfair proceedings, during which his access to his lawyer was restricted. Farzad Kamangar has been prohibited, on several occasions and for prolonged periods of time, from seeing his lawyer and family members. Kurds, who are one of Iran’s minorities, live mainly in the west and north-west of the country, in the province of Kordestan and neighbouring provinces bordering Kurdish areas of Turkey and Iraq. For many years, some Kurdish political parties such as the Kurdistan Democratic Party of Iran (KDPI) and Komala – all of which are illegal in Iran – have taken up arms against the Islamic Republic of Iran. Another armed group, the Kurdistan Independent Life Party (PJAK), continues to carry out armed attacks against Iranian security and government. Iran has accused foreign governments of fomenting unrest among the country's ethnic minorities. The scope of capital crimes in Iran remains extremely broad. Judges have discretionary powers to impose the death penalty for certain offences, including those relating to national security. No other person convicted of membership of the PKK has been sentenced to death. Student Council of Defense of Human Rights in Kurdistan: Ronak Safazadeh is a student, a women’s rights activist as well as a member of Azarmehr Association of Women of Kurdistan and a member of One Million Signature Campaign. Ms. Safazedeh has been in pre-trial custody for 15 months and still no trial date has been set for her case. As a result of severe physical and psychological torture, as well as terrible prison conditions she suffers from numerous illnesses and requires immediate medical attention outside of prison. Although Ms. Safazadeh’s family and lawyer have requested medical treatment for her, no attention has been paid to this request by prison officials and Revolutionary Court in Sanandaj. It must be mentioned that Ms. Safazadeh suffers from very serious infections, especially in her ear and teeth which has gotten much worse in the recent days, yet the authorities have refused for the fourth time to allow her to seek medical attention outside of prison. Student Council of Defense of Human Rights in Kurdistan: Although 14 months has passed since the arrest of Hana Abdi and two months since she was exiled to Razn Prison in the City of Hamedan, her family’s efforts to secure a 10 day prison leave for her have not been successful. A few days ago Ms. Abdi’s family went to the Revolutionary Courts in the city of Sanandaj to follow up on her case, however the judge in charge of Ms. Abdi’s case claimed that he knew nothing about her exile, and the file was transferred to the court of appeal for review. The fact that the Judge on her file has claimed that he knows nothing about her exile has caused her family great concern. Ms. Abdi has been charged with acting against national security and sentenced to 18 months imprisonment and exile to Razn Prison in the city of Hamedan. Student Council of Defense of Human Rights in Kurdistan: In the past few days security forces have started arresting a number of residents of Margawar near the City of Orumiyeh. Also Mr. Saeed Fahim Ibrahimi, the resident of Gerdoan Margwar and Vahid Abdollah Zadeh, the resident of the Village of Dijez were also arrested and are currently in detention centre of Ministry of Intelligence in the City of Oroumiyeh. These individuals have been charged with being members of Kurdish Opposition Groups. Further number of other individuals are under surveillance by the security forces and the number of arrests in this area has been more than it has actually been reported. Student Council of Defense of Human Rights in Kurdistan: A Kurdish activist Mr. Naser Sabri, resident of Yek-Lange Tilakoo, from the city of Kamyaran was arrested one month ago by the Ministry of Intelligence Officials and has not been heard of since. Student Council of Defense of Human Rights in Kurdistan: After the funeral of a Sepah-e Pasdaran official Saeed Mohammad Rasuli a Kurdish activist Mr. Behzad Jamei was arrested for filming the funeral with his mobile phone and since then he has been summoned to the Ministry of Intelligence office for questioning a number of times. Further, Security forces have searched Mr. Jamei’s home numerous times and have confiscated a number of his personal belongings including his computer and his books. It has been reported that the deceased Sepha’e Pasdaran official has lost his life in an armed conflict with Guerillas from Kurdisan Hayat Azad Party. Student Council of Defense of Human Rights in Kurdistan: A Kurdish Activists Mr. Rafigh Zolghadr’s who was arrested 20 days ago is being subjected to severe physical and psychological torture, in the Sepahe Pasdaran detention Centre. Sepahe Pasdaran officials attacked Mr. Zolghadr’s home at 3:00 am 20 days ago and after searching his home they arrested and transferred him to the Sepahe Pasdaran Detention Centre. In an interview with Student Council of Human Rights in Kurdistan a family member of Mr. Zolghadr has indicated that they were able to have a five (5) minute visit with him, where they saw that Mr. Zolghadr had been severely tortured. According to this family member Mr. Zolghadr has told this family member that he was forcefully undressed, cold water was thrown on him and then he was whipped mercilessly. Tonight I am dedicating my post the real heros’ of the student movement, those who are fighting against the Islamic Regime IN Iran. In the past few days I have come across these amazing videos, of brave Iranian Students questioning and standing up against the Regime. To be in Iran and do what they do is nothing short of amazing. These are the two videos I found of the 16 Azar Demonstrations Video 1, for those of you who do not speak Farsi, in the first video the students are playing the pre-revolution national anthem “Ey Iran”, and seconds later it seems like the students are being attacked by the Regime Agents, perhaps the Basij who are screaming “mikosham, mikosham, harke baradam kosht” meaning I will kill, I will kill whoever killed my brother. In the second Video In the second video the students are chanting “Marg bar dictator” meaning death to dictator, and “Niruye Entezami khejalat, khejalat” meaning Security Forces, shame, shame. The student movement is strong and very much alive, no doubt about it...There are real heros, faceless, brave and strong and tonight I am dedicating my post to all of those faceless Iranian Heros. The Kurdish Students in Tehran University have issued a statement on December 5th 2008 indicating that due to the undemocratic nature of not only the Islamic Regime but also the various opposition groups and organizations against Kurdish people, they will not be participating in the Student Day demonstrations this year. Mr. Topoz is a political prisoner who was sentenced to 13 years of imprisonment on charges of membership in Kurdistan Workers Party. He has been serving his sentence in the Omrumiye Prison for the past 2.5 years, however five (5) days ago he was taken to an unknown location and there has been no news about his whereabouts since that time. Mr. Topoz was a very active participant in the nationwide hunger strike of the Kurdish Political Prisoners and his “exile” from Orumiyeh Prison maybe related to the role he played in the hunger strike. Mr. Topoz is 30 years old and suffers from numerous illnesses. The 47 day nationwide hunger strike he participated in led to his health suffering even more and there is great concern for his health and well being. The Officials of the Orumiyeh Prison had threatened political prisoners with exile if they were to take part in the hunger strike, however once the hunger strike got underway they started negotiating with the prisoners and promised to meet some of their demands. It has been reported that three (3) other political prisoners in Orumiyeh Prison have been exiled to the cities of Ghazvin, Tabriz and Ardebil in the past few days. Mr. Omar chapraz who is 32 years old and is serving a 13 year prison sentence for membership in the Kurdistan Workers Party has been exiled to Ardebil Prison. Mr. Jomhur Azghuch who is 53 years old has been transferred to Tabriz Prison and Mr. Changiz Amouyi has been exiled to Ghazvin Prison. Before their transfers these prisoners were informed that they would have to serve seven (7) years of their sentence in exile. Further the crack down on Kurdish women and student activists continues and this maybe a technique used by the Regime to prevent any further nationwide action by the Kurdish prisoners and activists. According to the latest news received about Mr. Khazar Rasoul Morout, he has had his visitation rights revoked along with another political prisoner Mr. Salar Yareh. Both Mr. Khazar Rsoul Morouti and Mr. Salar Yareh were residents of “Talavo”. They were arrested on August 14t 2008 when they were attacked and arrested by “Sepah” Officials while returning from their family farm. They were both subjected to brutal torture before being transferred to “Mezbur’ Prison. Further they informed their families that they were taken to an unknown location on August 20th 2008, while blindfolded and threatened into signing some “unknown” documents. It must be mentioned that Mr. Morout was a literature major at Orumiye University as well as a “mother tongue” activist who was teaching Kurdish language at an organization called “Suma”. کانون دانشجویان مدافع حقوق بشر کردستان which is an organization created by Kurdish students with the goal of bringing awareness about the recent crackdown on Kurdish Students by the Islamic Regime. As many of you may be aware, in the past few months many Kurdish students have been expelled from University, many more have been arrested and are being held without charge. Also numerous student activists have been sentenced to very long prison terms (8+ years). This new group is dedicated to bringing awareness about this new wave of crackdown and to keep us updated about the latest news coming from inside Iran. I invite everyone to visit this site; I believe there is a lot of useful and accurate information on it. I have not been able to keep my blog updated in the last little while, as I have been extremely busy with a number of projects. I have received numerous emails from readers who are concerned about the lack of updated news on my blog for the last little while so I thought I would fill everyone in on what I have been working on. 1. As many of you may be aware recently the Islamic Regime has started a major crackdown on Kurdish Students, which has included expulsion, arrests and extremely lengthy and unusual prison terms. I have been working with some friends inside and outside of Iran on a campaign in this regard. It will be a little while before we get that going, but that has taken up a lot of my time. 2. I recently received numerous emails and comments on my blog asking me to focus on religious minorities who are facing persecution in Iran, and in particular to write more about the persecution of Bahai Community. To that end I have made contact with the Canadian Bahai National Centre in Toronto to become more informed and up to date about the persecution of Bahai Community in Iran. (In fact I just came back from a meeting with them) I will write something about this group and their activities as well as our meeting in the very near future. As well expect to hear a lot more about the persecution of Bahai Community in Iran in the near future. 3. Recently an article was published in the Macleans Magazine titled Why did the Foreign Affairs Department rebuff a witness in the Kazemi affair? Which indicates that the Canadian Government has turned away a very valuable witness who may have been helpful in the prosecution of those responsible for Zahra Kazemi’s death. I have also been trying to publicize this issue as much as possible in any way that I can. 5. I have also been looking into making a website which I think would be much more effective than a blog.